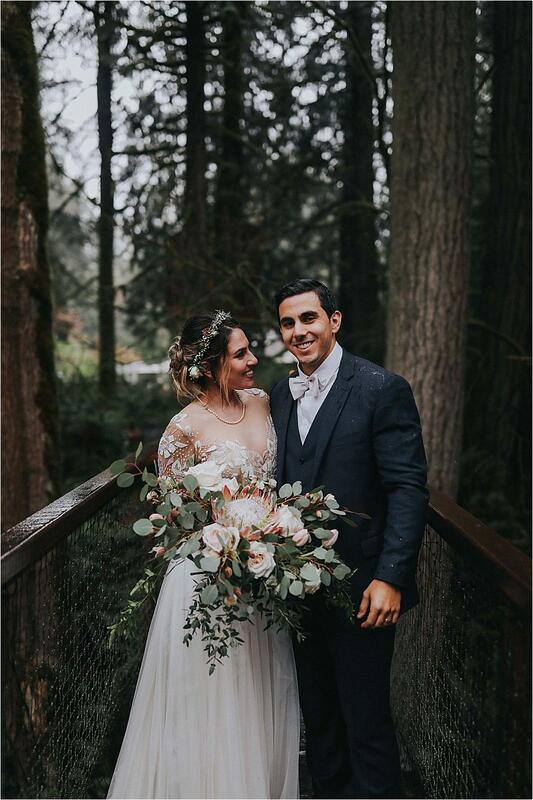 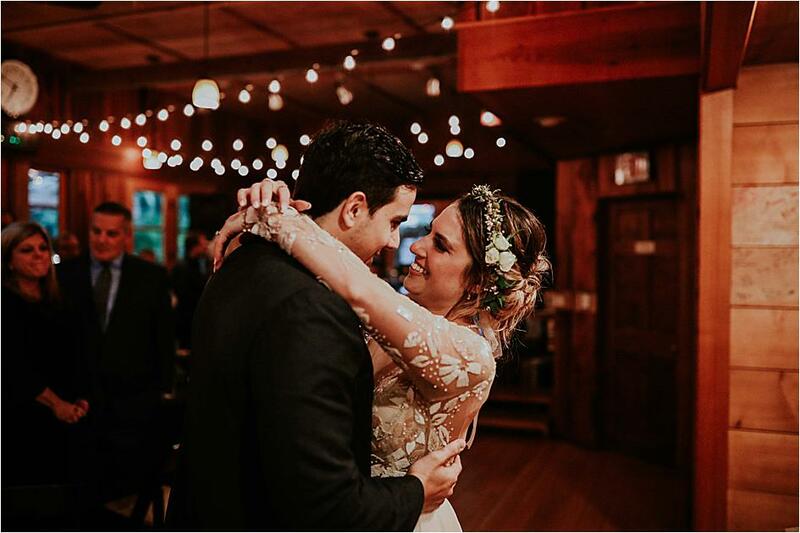 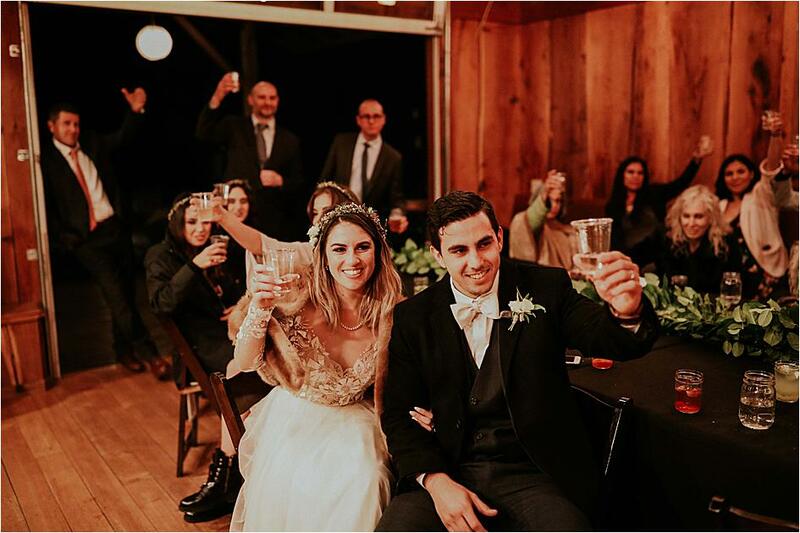 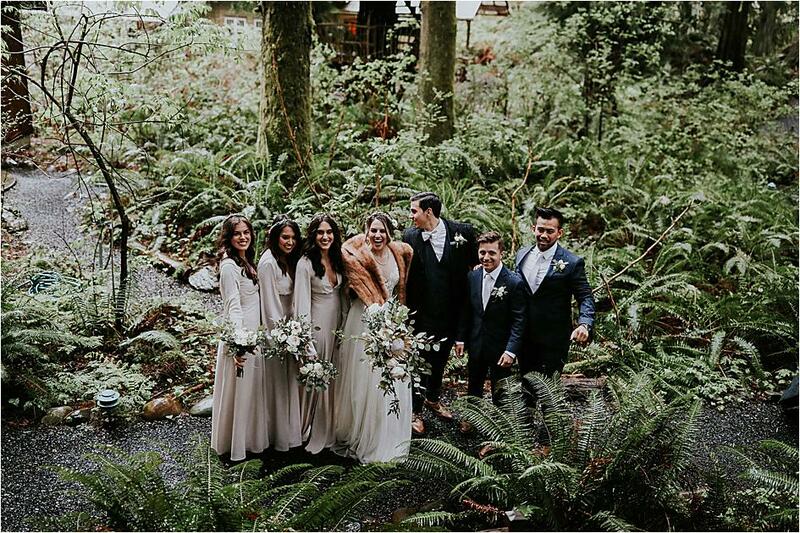 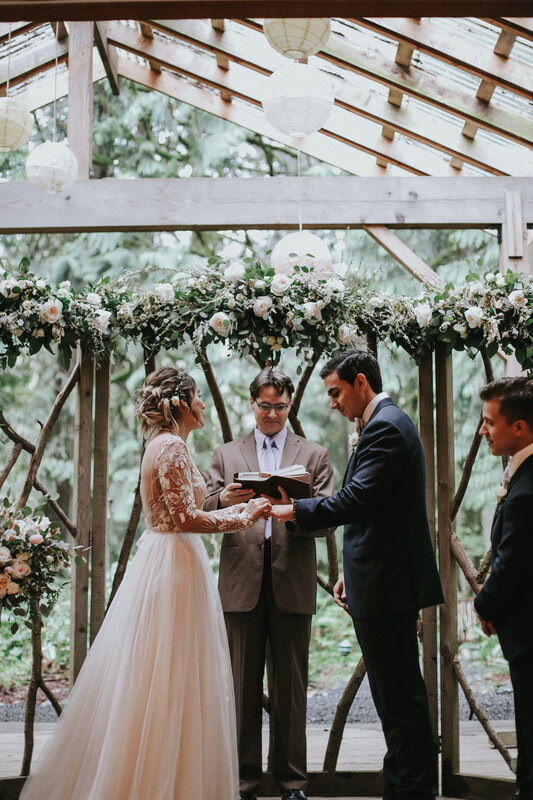 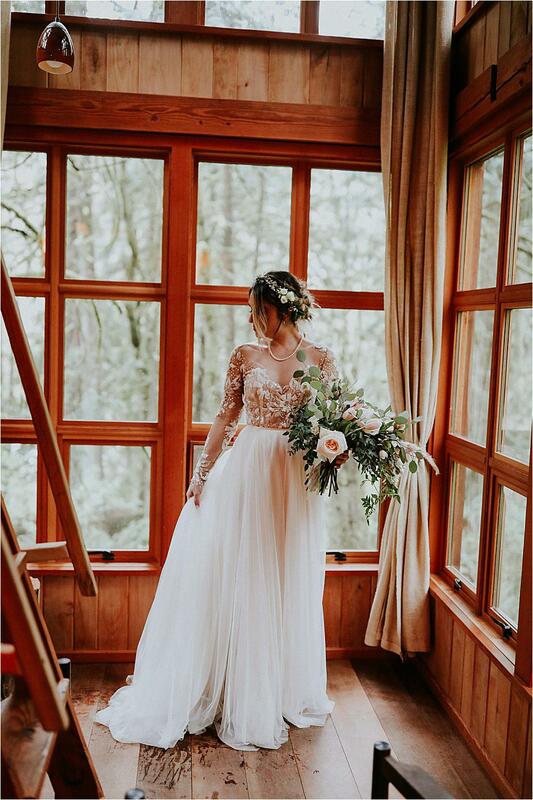 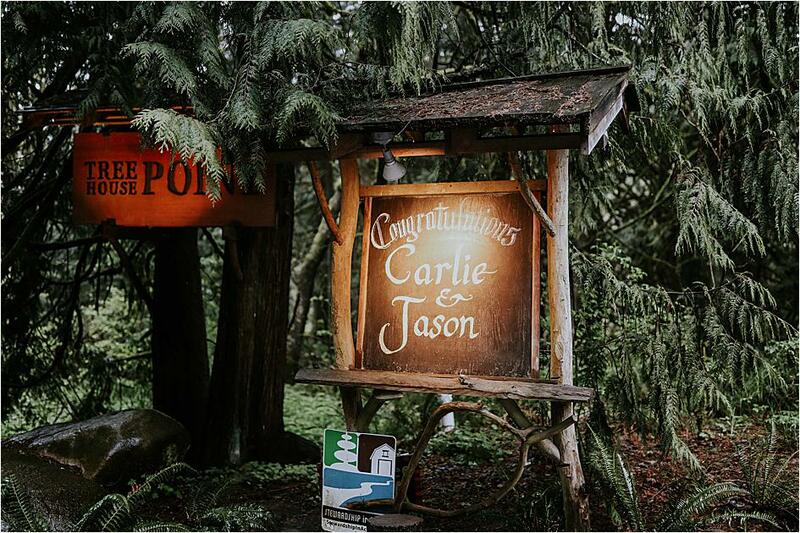 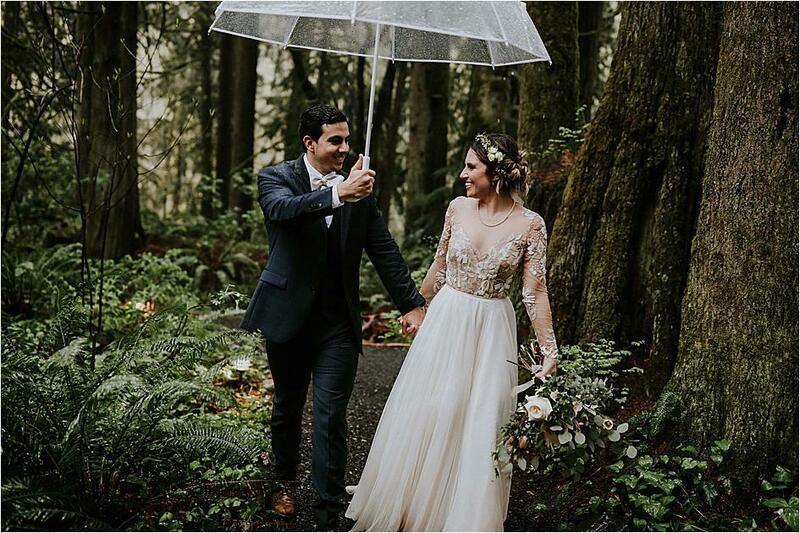 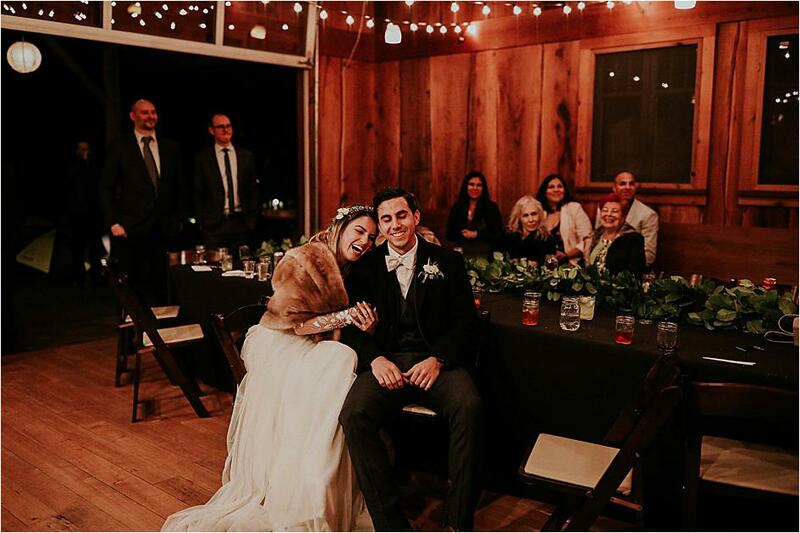 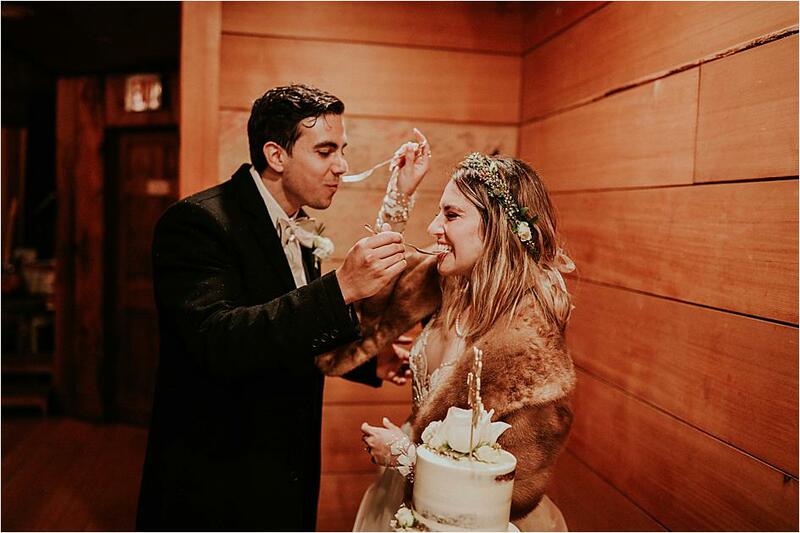 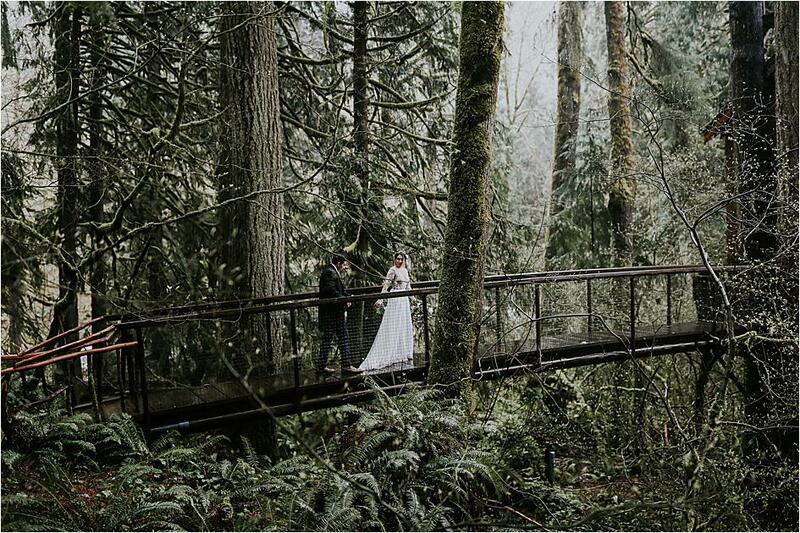 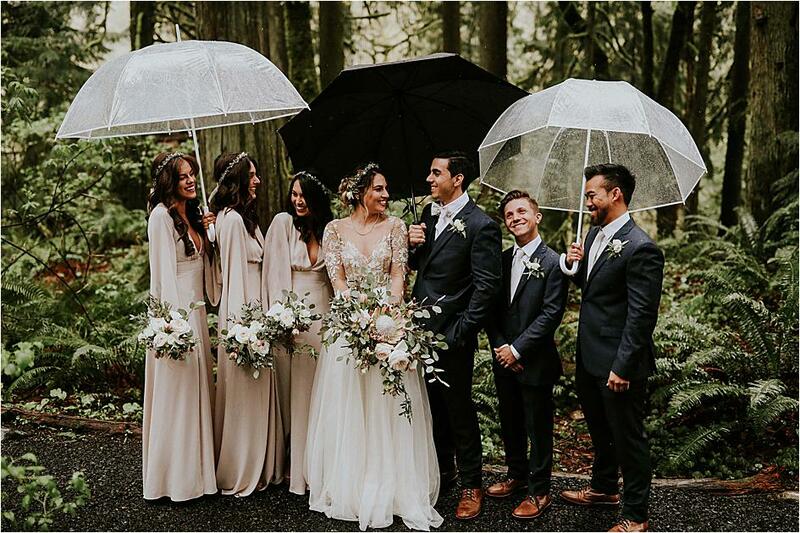 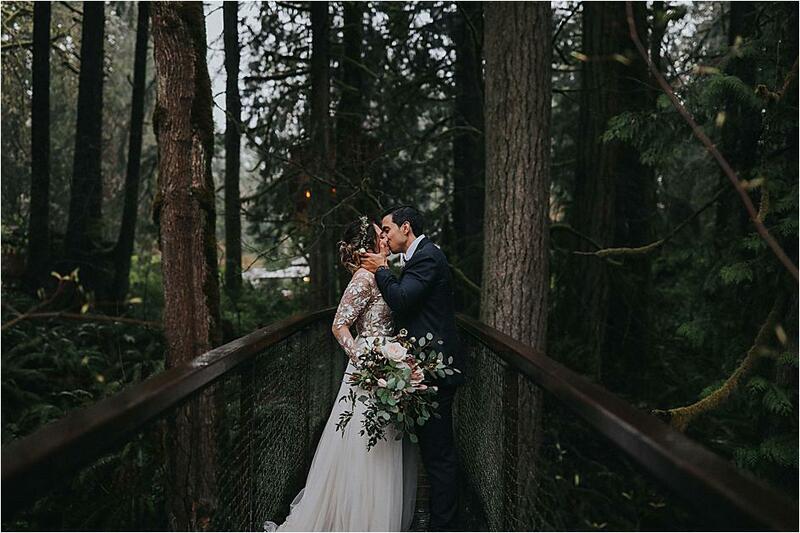 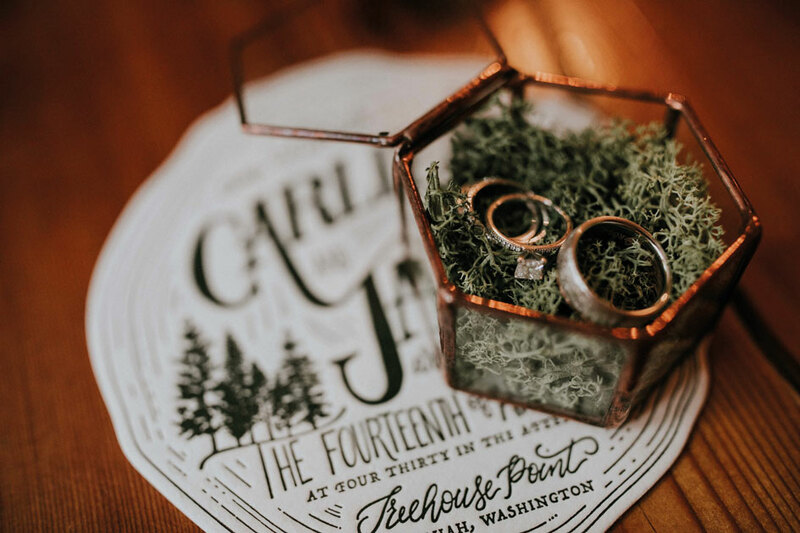 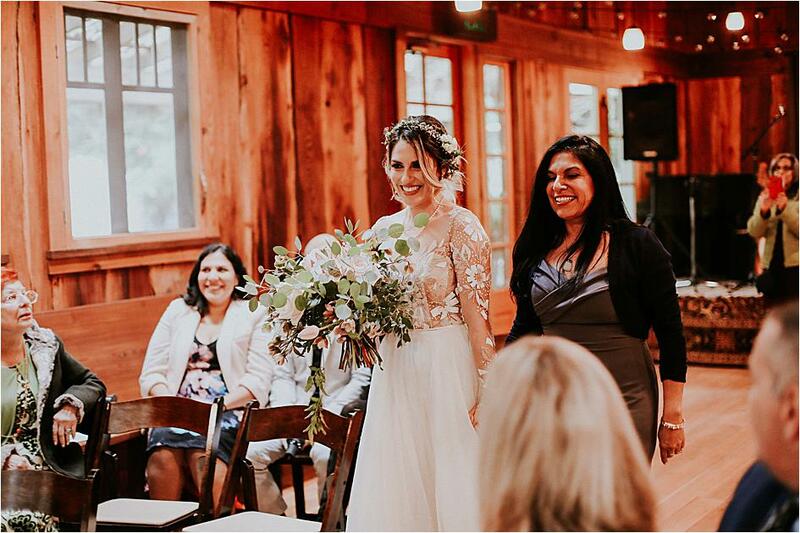 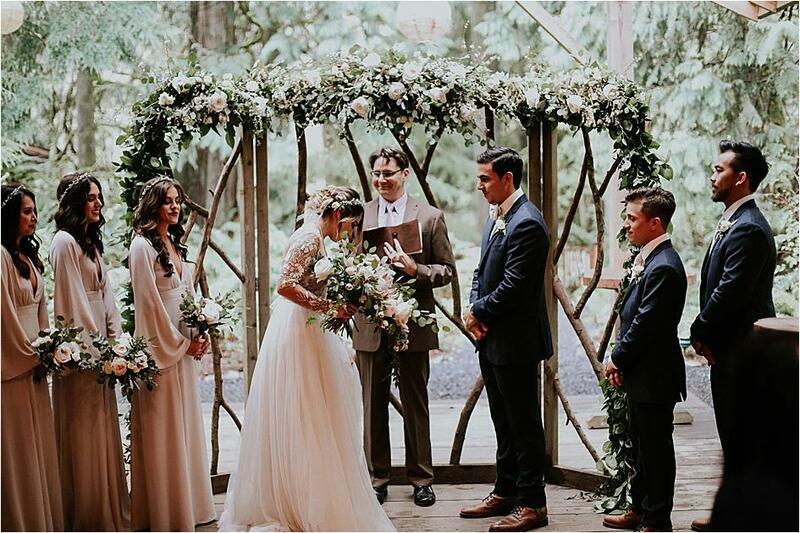 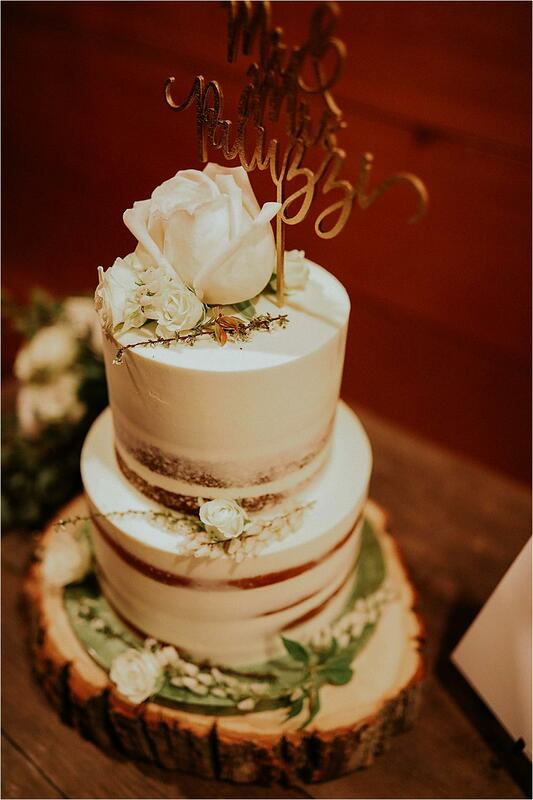 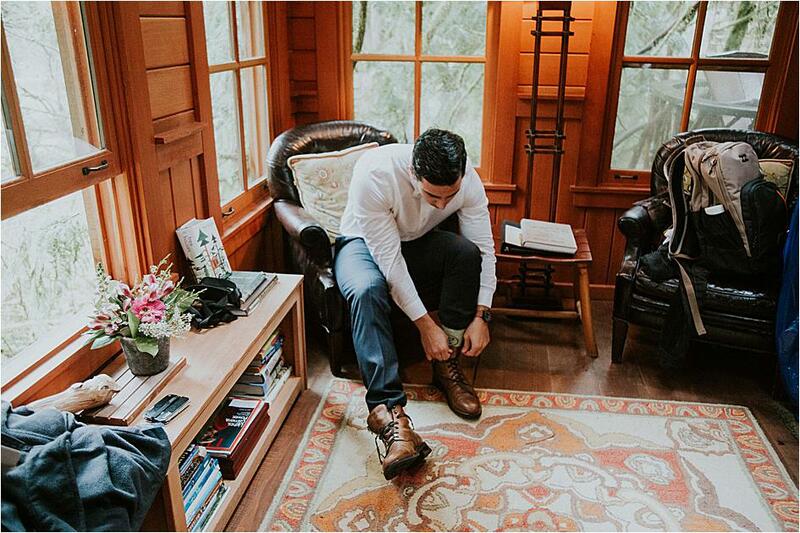 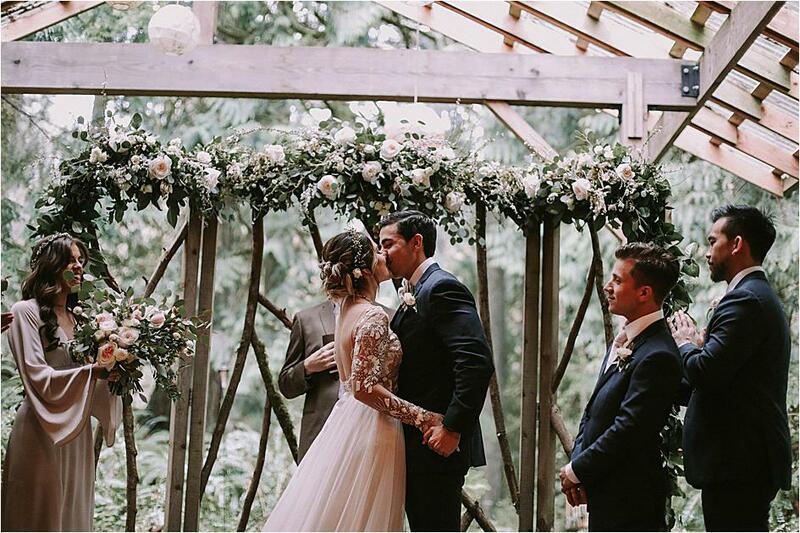 When planning their wedding, Floridians Carlie Strutt and Jason Paluzzi’s chief desire was to have an adventure-filled destination wedding in their favorite place in the world, Washington state. 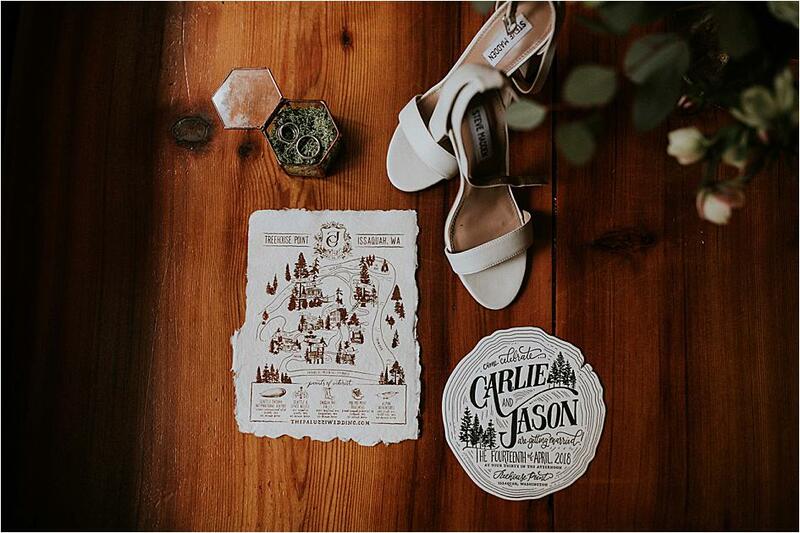 They booked TreeHouse Point so that their guests from all over the world could witness them tie the knot amid the natural splendor of the great Northwest. 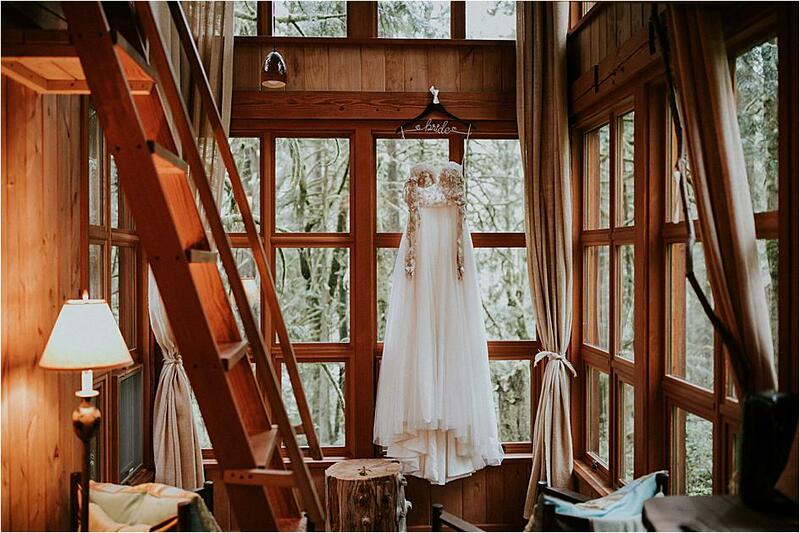 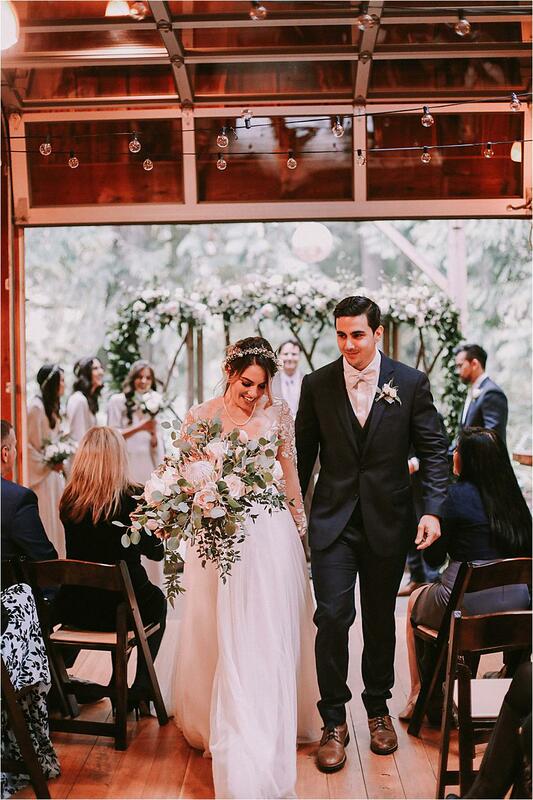 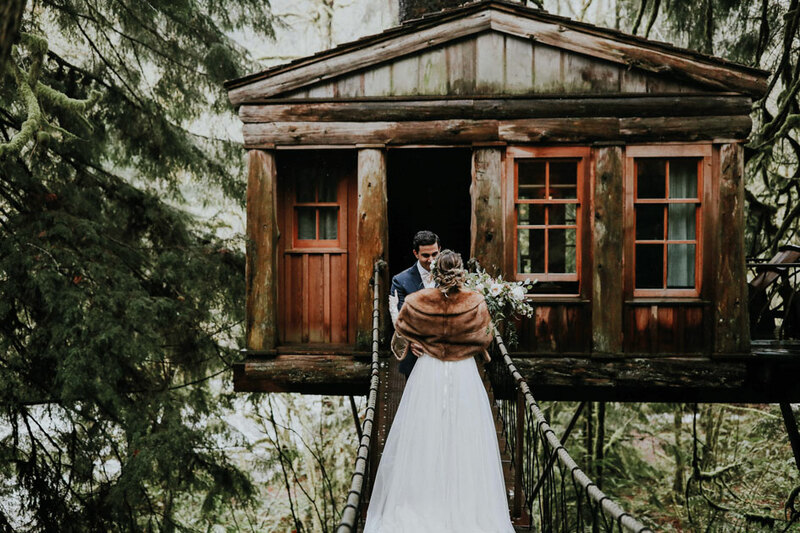 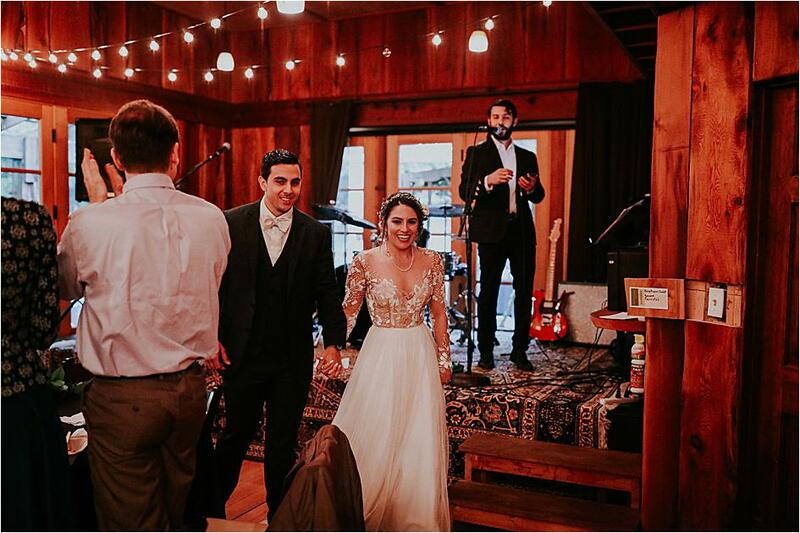 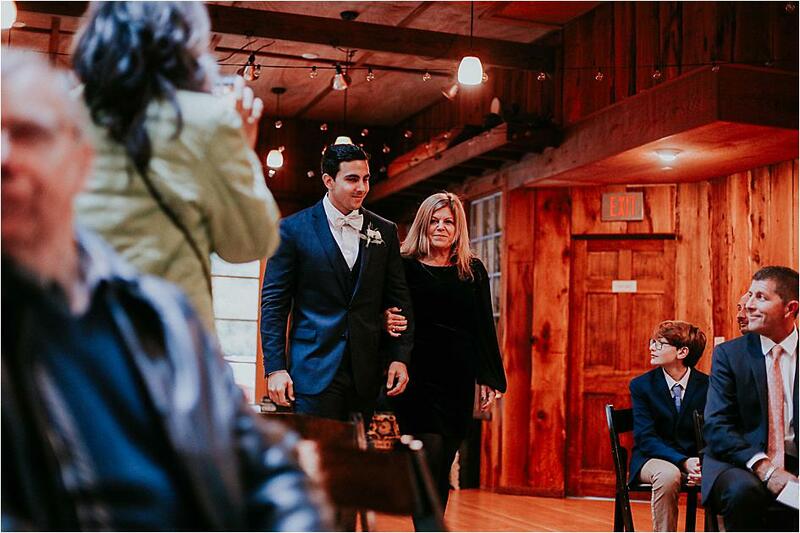 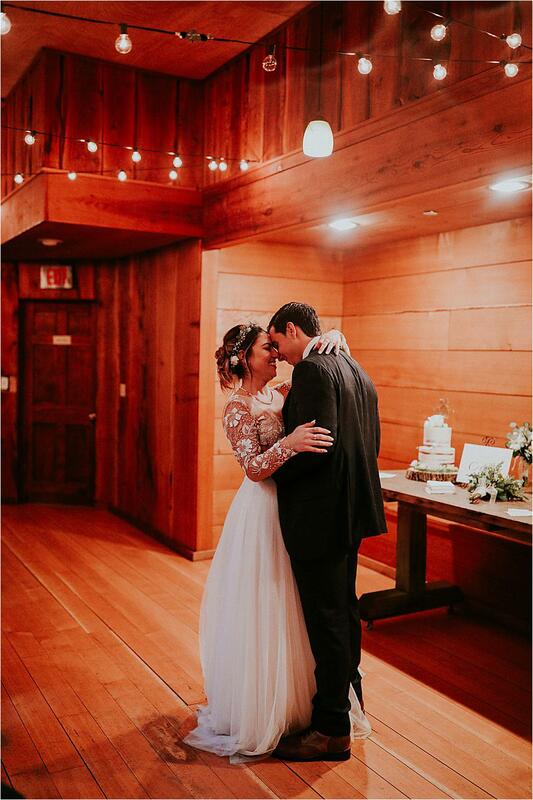 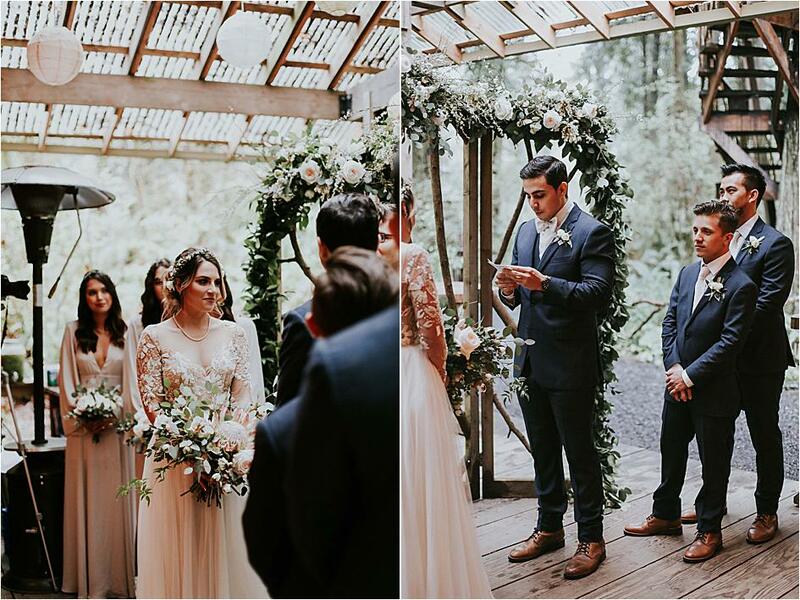 With a variety of tree houses and encompassing forestland, the venue offered the bride and groom the perfect fairy-tale forest setting for their celebration. 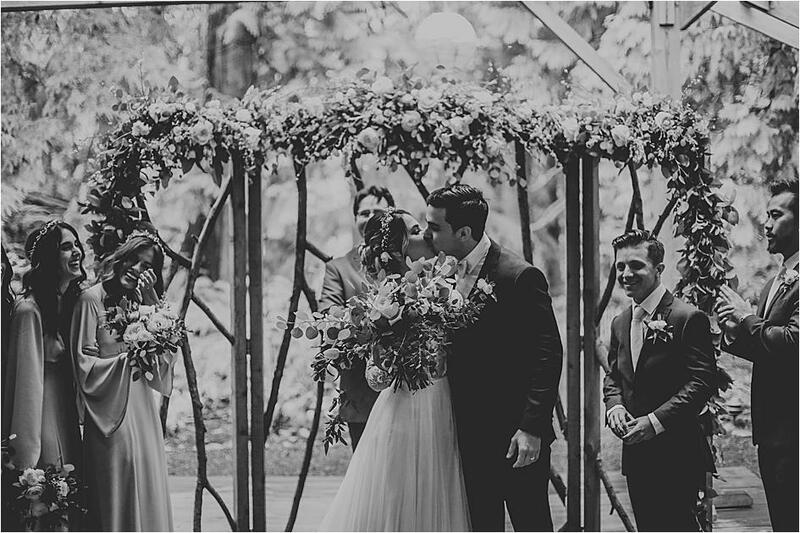 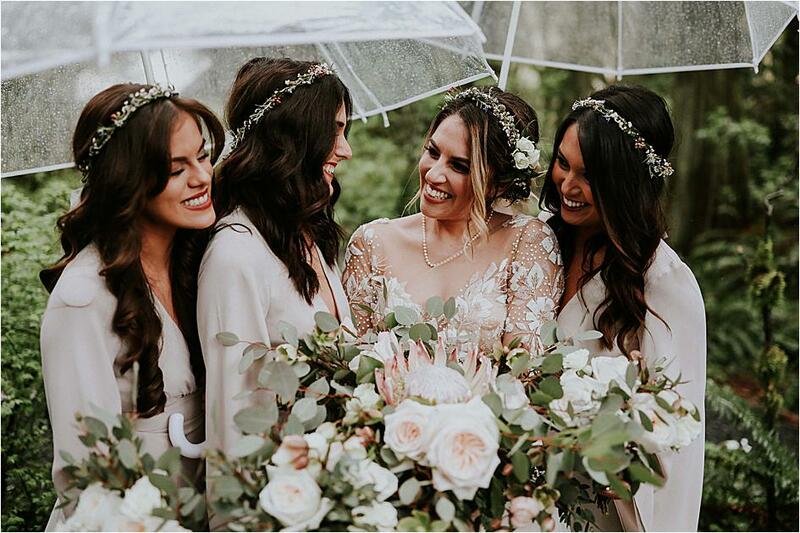 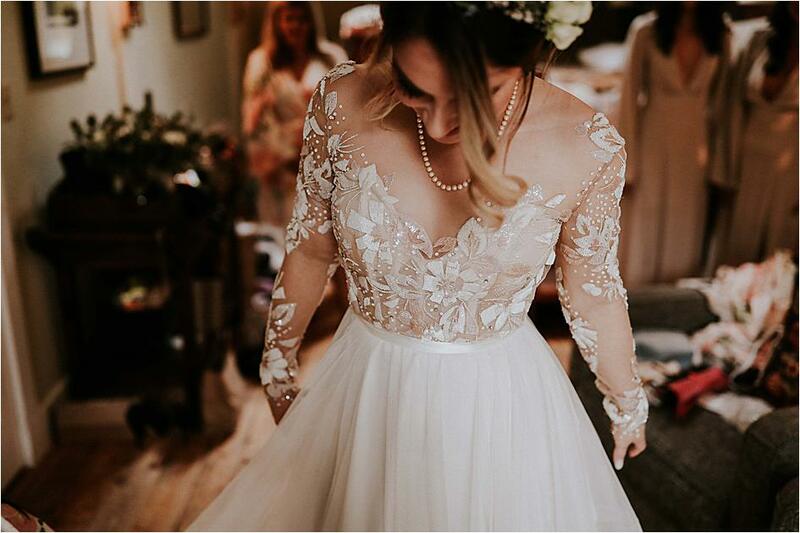 From the flower crowns to bell-sleeved bridesmaids’ dresses, this wedding was every bohemian bride’s dream. 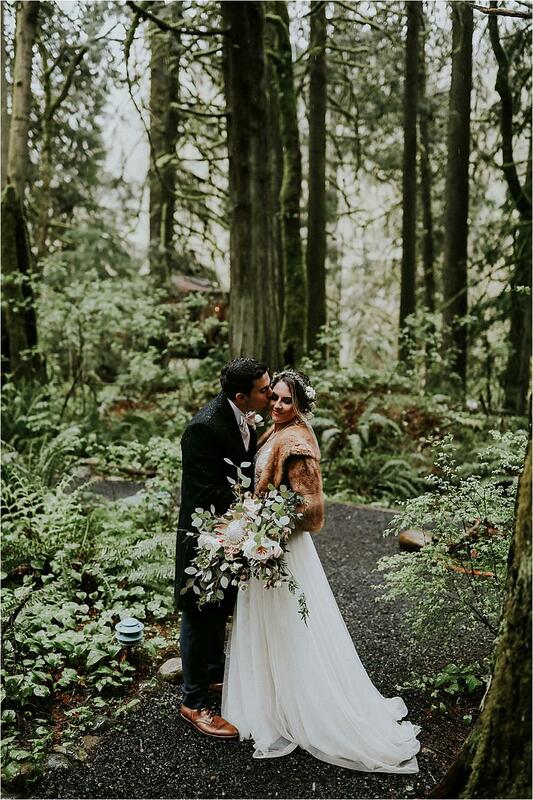 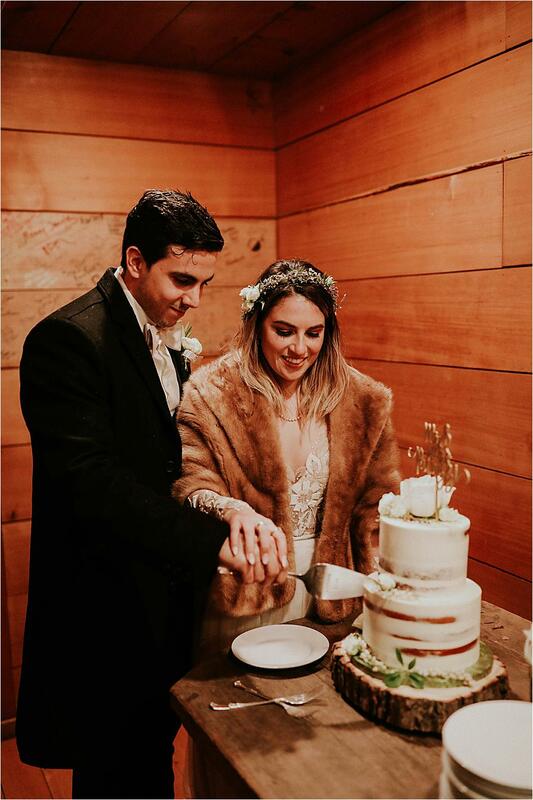 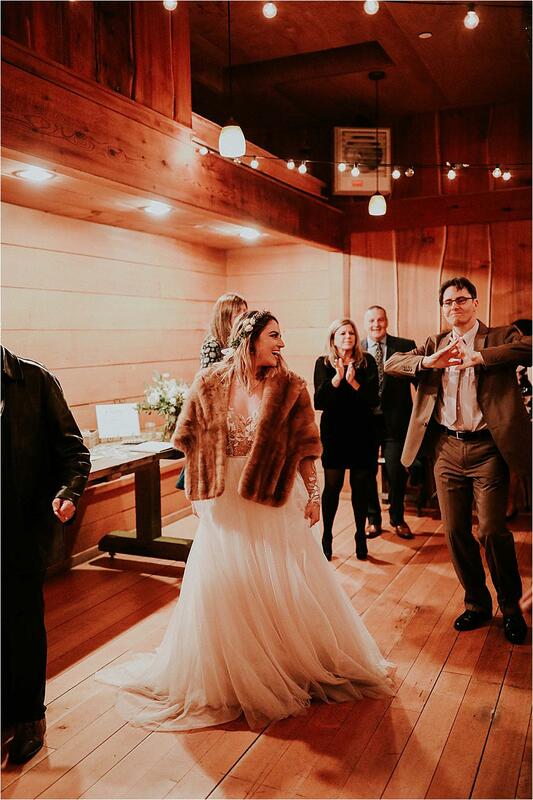 Carlie’s fur shawl was a stunning touch that completed her wedding-day look and kept her warm on a cool spring day.